When you think of warm weather and outdoor activities, perhaps a body of water comes to mind. Whether you enjoy the pool or the ocean, water is a huge part of summertime. 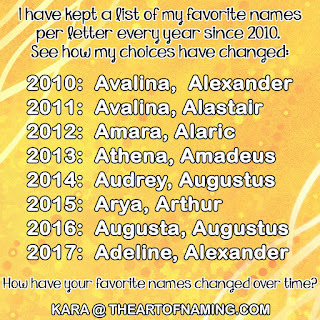 Since we're discussing summer names this week and next, I thought I'd feature the name River for my boy name choice even though I'm aware of how unisex it is. Of course, River comes from the English word that refers to a flowing body of water. Many people enjoy rafting down a river during the summer or camping near one. Ultimately, the word river is derived from the Latin ripa meaning "riverbank". As a name, River was considered masculine first but the girls staked their claim on it fairly quickly. It is still more popular for boys though. As a nature name, River offers a great tranquil vibe, but also one of adventure. Pluralizing it as Rivers is also an option but it doesn't receive as many births per year as the singular River. There have been a few celebrities who have used this name for their children in recent years. There's also pop-culture ties to the late River Phoenix; and Weezer frontman Rivers Cuomo. For the females, there was a character on Doctor Who named River Song; and singer Kelly Clarkson recently gave her daughter the name River Rose. River first appeared on the baby name record in 1971. It wasn't used regularly each year until 1986 for boys. It increased in usage around 1994 and has slowly been climbing upward since then. There were 815 males named River in 2013 for a ranking of #372. The girls jumped on the bandwagon in 1988 but didn't have as much of an increase in births per year as the boys. They began catching up around 2006. 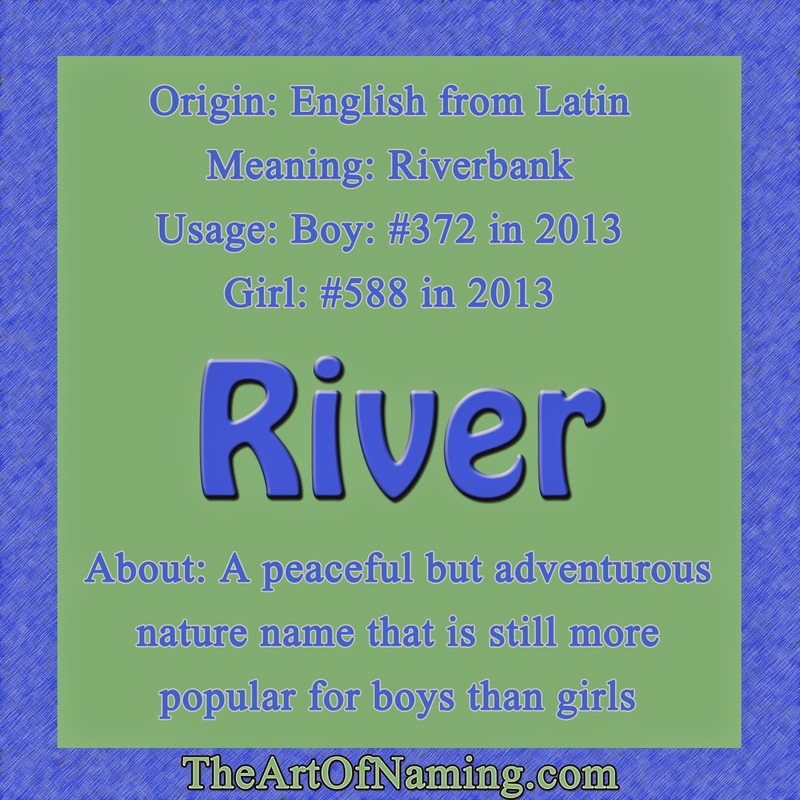 As of 2013, there were 480 females named River, ranking the name at #588 on the girl side of the US Top 1000 chart. Do you like River more for a boy or a girl? What names would you choose to pair it with? Share your thoughts in the comment section or on Facebook!